For weeks I had eagerly anticipated the arrival of March 14, 2012, when I would attend my first New York Knicks game of the season at Madison Square Garden. I bought the tickets a month before, after the Knicks had won five games in a row with Jeremy Lin leading the charge. I wasn’t sure if Linsanity would last, but I figured the Knicks were on solid footing for the rest of the year. As a hardened life-long Knicks fan, of course, I should have known to prepare for the worst. As I entered the arena, the Knicks franchise was once again in a familiar state of disarray. Six hours earlier, Knicks coach Mike D’Antoni had abruptly resigned. And for anyone who had been watching the team this season, the root cause of his resignation—and the six-game losing streak that preceded it—was clear: the Knicks’ star player, Carmelo Anthony. But the fact that Anthony was greeted by boos as he was introduced to the starting lineup on Wednesday night wasn’t simply because Knicks fans were angry at him. It was because he had injured their sense of justice. Anthony’s arrival on the Knicks is the most demoralizing thing to happen to the team that I can remember—and that’s saying a lot. I lived through a series of near misses in the nineties and the lost decade that was the aughts. I’m still traumatized by Charles Smith getting blocked four times under the rim against the Chicago Bulls at the end of a pivotal game five of the 1993 Eastern Conference Finals and John Starks shooting 2-18 in game seven of the 1994 NBA Finals against Houston. Of course, the hardscrabble teams of the nineties—who failed to win it all but made the finals twice and advanced to the playoffs like clockwork—look like NBA royalty compared to the hapless Knicks of 2000 to 2010. Still, of all the terrible things that can be said of that era—and there are many: New York magazine called the 2007-2008 Knicks “the Worst Team in the History of Professional Sports”—Knicks fans could at least console themselves that their team simply lacked the coaching and athletic talent to compete. The arrival of D’Antoni was supposed to change all of that. His explosive “seven seconds or less” offense, with its emphasis on spacing and pick-and-roll collaboration, had been a boon in Phoenix. And it had some successes in New York, notably last year. But the team management still thought a savior was needed. When Lebron James refused to sign, Melo entered the picture. But far from lifting the Knicks’ fortunes, his arrival has already ravaged the team, twice-over. The first instance, admittedly, was not his fault, but rather Knicks owner Jim Dolan’s: He was the one who decided to overrule General Manager Donnie Walsh and D’Antoni by trading four would-be starters for Melo. But it’s Anthony who has to be held to account for how he has played since he’s arrived. Unfortunately, the only thing consistent about his play has been his inability to adapt to the sort of teamwork that D’Antoni was preaching and that his teammates, for the most part, have been practicing. This became most apparent when Melo returned from a groin injury and sucked the life out of the feel good story that was Linsanity. The Knicks were 7-1 with Lin running the team and Melo out. They were 2-8 with him back before the Portland game. But when it became obvious that the coach’s system was being subverted by one player, team management decided to back the superstar. Mike Woodson, who has been installed as the Knicks’ new coach, is sure to be more amenable to Anthony. During his stint in Atlanta, Woodson was known for turning his offense over to his star player, guard Joe Johnson, which usually meant that the rest of the team stood around and watched him. “Iso-Joe” they called it. Will “Iso-Melo” be next? If so, it’s hard to imagine the Knicks’ other players, including fellow star Amare Stoudemire, responding positively, especially after briefly witnessing the unselfish joy of Linsanity. Anthony’s questionable shot selection and indifferent defense won’t help either. “This is a bit like being broke, winning the lottery, and then throwing away the ticket because you'd rather make your fortune prospecting for gold,” one fellow NBA-obsessed fan told me. To be sure, D’Antoni had flaws as a coach. 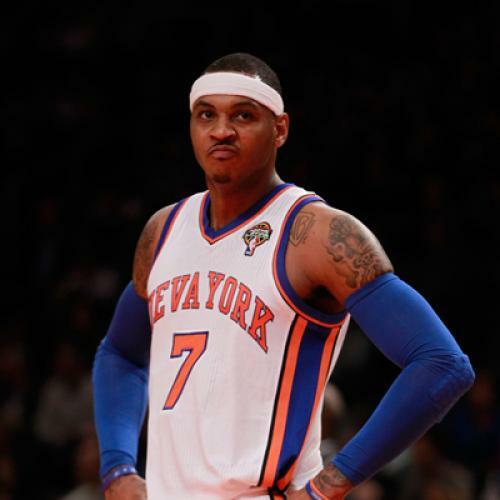 But it’s hard to believe the Knicks will be better with more Melo, not less. The numbers, as they say, don’t lie. According to ESPN NBA stats expert John Hollinger, Anthony doesn’t even rank in the top 50 when it comes to player efficiency ratings (LeBron, Dwayne Wade, and Kevin Durant are the top three). Based on these numbers, Melo might be the most overrated player in the NBA. But even if the Melo-drama of superstar selfishness crushed the Knicks’ momentary Linsanity, Anthony isn’t entirely to blame. He’s the product of an unprecedented era of entitlement in professional sports, when disgruntled superstars can force trades, fire coaches, and destroy franchises. The conventional wisdom says that great teams need to be built around flashy marquee names, which instantly turns star athletes into celebrity divas (although successful no-name squads like Philadelphia and Indiana are proving the exception to that rule this year). It wasn’t always like this. Many of the most successful teams of the 1990s relied less on flash, than on grit and toughness. The Knicks of that era were built on a foundation that included power forward Charles Oakley, who was always willing to sacrifice his statistics, and his body, for the sake of the team; it’s hard to think of a player whose style was a greater antithesis to that of Melo. Of course, those were also the days before superstar contracts. Today’s NBA culture is largely a question of money. Players like Carmelo now make anywhere from three to six times as much as their highly paid coaches. They are the one percent of their profession. And in sports, just as in politics, the super elite usually get what they want, even if the rest of us don’t. It’s time that sports fans reckon with the perversions of this system—even if there’s nothing we can do about it other than boo. Ari Berman is a contributing writer for The Nation and the author of Herding Donkeys: The Fight to Rebuild the Democratic Party and Reshape American Politics. Follow him on Twitter at @AriBerman.